Presenting the Birmingham School Class of 1906. Left to Right: Mabel Cook, Elsie Nice [? ], Mary Smith, Edith McCloskey, Sarah Chapin, Lucile McGee, Maude Budinger, Ruth Bressler, Norabel Tyson, Elsa Elder, Reba Carskaddon, Eleanor Franciscus, Margaret Klass, Kate Bressler. I fear I have misread many names. Any corrections will be much appreciated. My grandmother, Ruth Bressler, and her sister, Kate Bressler, attended the Birmingham School for Girls in Pennsylvania. Seated, L-R: Norabel Tyson, Big Pine CA; Margaret Klass, Tyrone, PA; Maude Budinger, Snow Shoe, PA; Lucile McKee, McKee Mills, PA; Mabel Cook, Belle Vernon, PA; Reba Carskuddon, Lansdowne, PA. 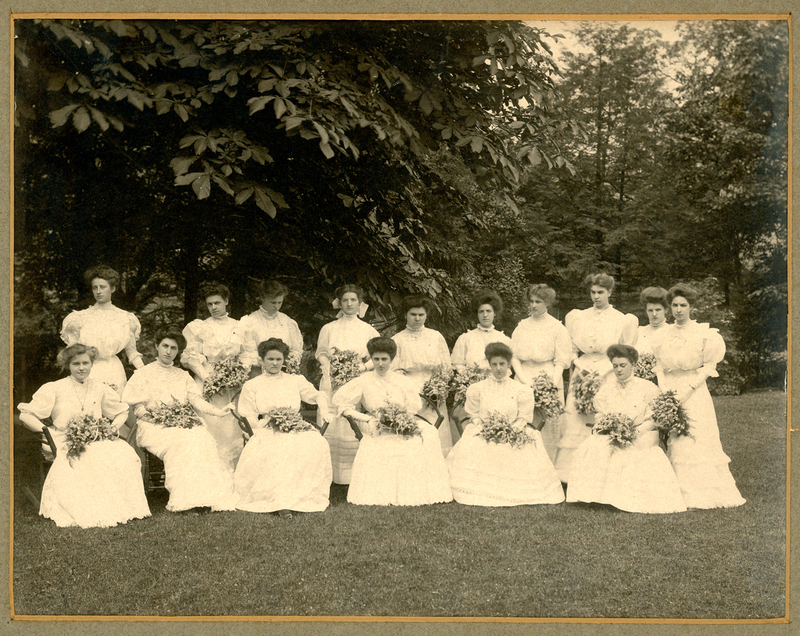 Standing, L-R: Eleanor Franciscus, Tyrone, PA; Sarah Chapin, Milton, PA; Elsa Elder, Dayton, OH; Edith Smith, Birmingham, PA; Mary Smith, East Liverpool, Ohio; Elsie Ness, Pittsburg, PA; Edith McCloskey, Holidaysburg, PA; Kate Bressler, Wayne, NE; Matilda Cook, Belle Vernon, PA; and Ruth Bressler, Wayne NE. I’ve done my best deciphering my grandmother’s handwriting, but if you see errors in any of the names, please let me know. 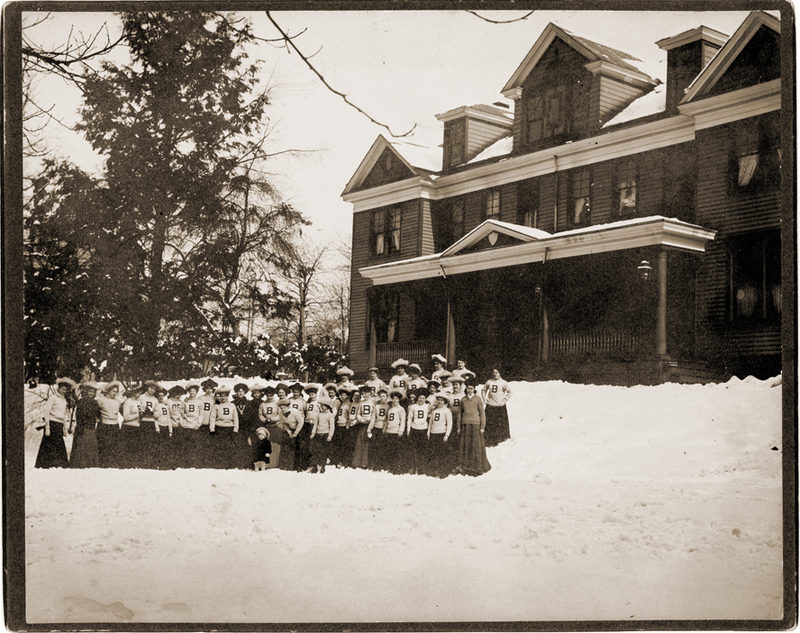 The Bressler girls in a class photo from the Birmingham School for Girls, Pennsylvania, 1906. Kate Bressler is 9th from the left, Ruth Bressler is 13th (just behind and to the right of the small child). This is Jessie Tucker, a friend of my grandmother’s. Grandma kept the photo – she wrote on the back. 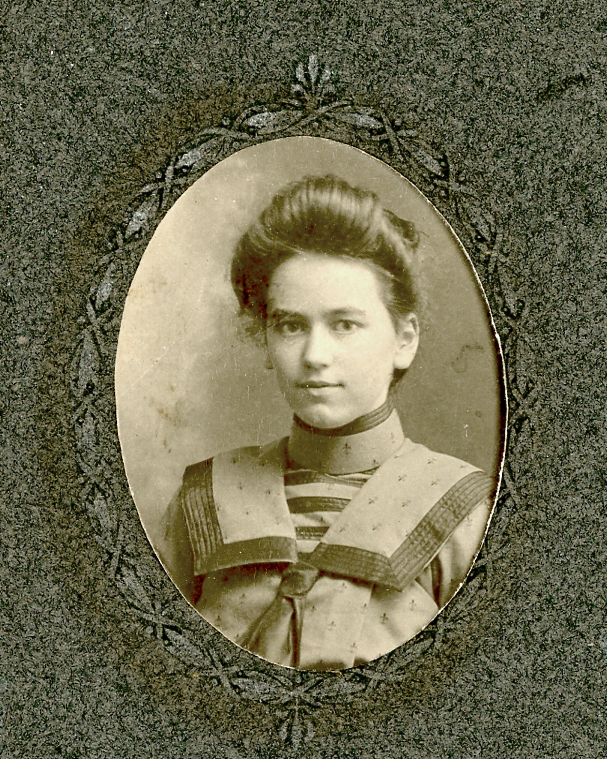 It says “Jessie Tucker 1903” – this makes me think she was a friend at Birmingham School for Girls in Pennsylvania. The other option is that she was a friend from home, that is, Wayne Nebraska. But Jessie is not part of our family and I’d love to her relatives have this photo. Do you know Jessie?